Thank God we don't look like what we have been through! I had a sad experience this week but i've learnt to Give thanks to God for everything and "just keep swimming". I will share what it is later on but for now calm down! Notice how I'm matching with the sofa? This sofa brightens my day on gloomy days-it is important to surround yourself with beautiful happy things! How could I forget? BATTABOX came visiting and I had an amazing time with the team...so much fun! I hope you enjoy the vlog! Sisi, I pray God envelopes you with His peace that surpasses every understanding. It is well with you. It is normal to experience the different phases of life.I watched a movie sometime ago,where the oyinbo was crying that things were going so smooth for her.We should only pray not to experience one that will break us. 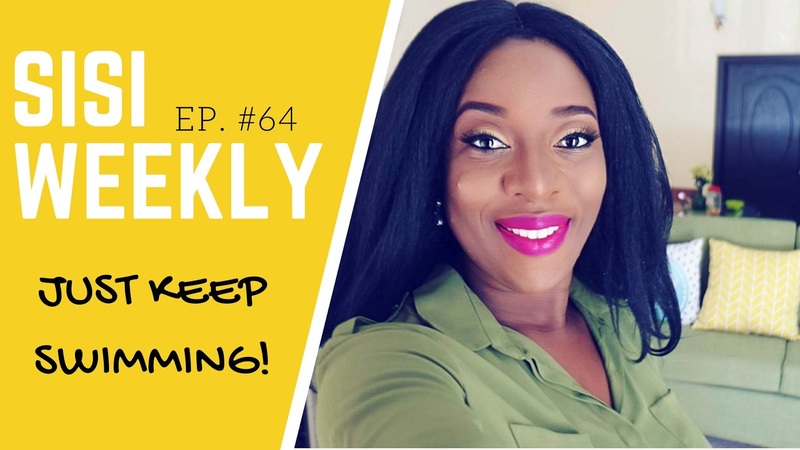 I love this week's content,like my sister will say,don't watch sisi yemmie's blog when you're hungry.Tito is growing like he's on a fast forward.I love the way you're bringing him up,giving him the butty and pako treatment.Enjoy the rest of this week Sisi.